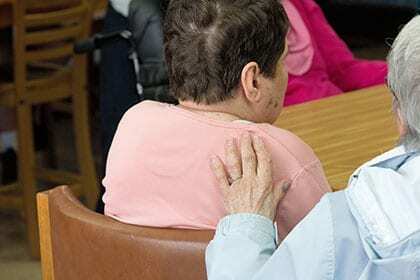 For many families who are caring for loved ones with profound disabilities and/or high medical needs throughout greater Cleveland, the task can become overwhelming. At the same time, each person with a disability – and the family that cares for them – has unique needs. We meet the full range of these needs by offering care in whatever way is most useful. Our facilities for long-term residential care are equipped with tracking systems that facilitate safe transfers for all individuals, regardless of their physical limitations. 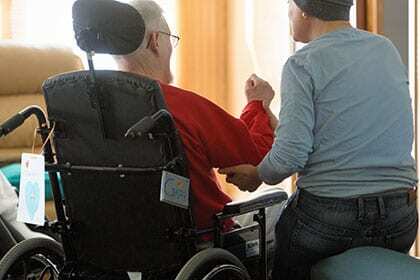 And, residents of our group homes are provided with nursing care 24 hours a day. In addition to long-term residential care, we also offer respite care for families who need a break, and supported living for people with disabilities who are living at home. We were apprehensive about moving our son into a facility like this, so we tried respite care for a couple of weeks. The staff put us at ease and answered all of our questions. And our son, he seemed so content that we transitioned him into full time residency. Our residential facilities offer highly personalized care to individuals with profound physical and behavioral needs in licensed and certified homes that are fully accessible, with doors, hallways, and bathrooms designed to accommodate wheelchairs and other adaptive equipment. Long-term residential care is available in three locations – at Center Ridge House (CRH) in Westlake, Ohio, as well as Haven Home and Blossom Hill, both in North Royalton, Ohio. Each of our residential homes is specialized. CRH serves non-mobile individuals with profound medical disabilities, Haven Home accommodates individuals with physical disabilities who have high medical needs, and Blossom Hill specializes in serving individuals with behavioral needs. All of our living accommodations are safe, clean, and nurturing, and we encourage families to decorate their loved ones’ private rooms to accentuate the feel of living at home. Staff provide ample opportunities for residents to socialize, with trips to Cedar Point and sporting events, along with neighborhood walks. Families that care for loved ones with physical and/or mental disabilities face profound challenges, and sometimes they need a break. All of our facilities offer safe, licensed short-term care options to those families who need temporary help, whether due to career demands, trips out of town, medical procedures, or for other reasons. Our nurses and supporting staff provide meals and round-the-clock care in a loving environment for individuals with high medical needs, such as G-tube, J-tube, diabetes, medication administration, and wound care. Individuals can stay in private rooms for up to 90 days. 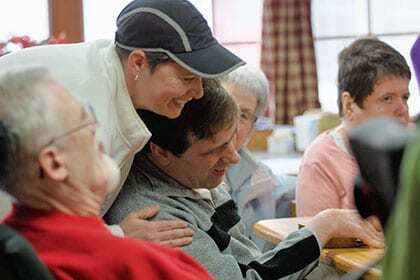 Our beds are licensed through Residential Respite and Institutional Respite through the State of Ohio. Hundreds of individuals with mental and physical disabilities are living with their families throughout greater Cleveland. These individuals and their families often need support with daily activities. Blossom Hill meets these needs by providing licensed Homemaker Personal Care (HPC) services that include transportation and delegated nursing services. Certification – Blossom Hill is certified by the Ohio Department of Health.